Public liability insurance provides cover for against any claims made by customers and members of the public who might suffer a loss or injury as a result of our business activities. Why is public liability cover a good thing for our customers? 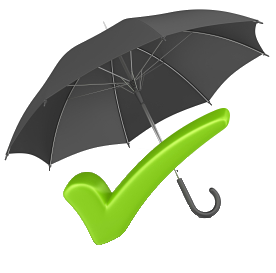 Our customers know how important it is to be sure that any business they work with has the right cover. There is always a chance of an accident happening, even when a business takes all reasonable precautions. With our insurance cover, even if the worst should happen, our customers' property could be repaired, their possessions replaced and their medical costs paid for. We are insured by Simply Business. «⇑ Click to see details of our cover. As we’ve all heard, prevention is better than cure. It's certainly comforting to know you're covered by insurance should any accident happen, but much better to feel confident that everything possible is being done to prevent any accident or mishap. 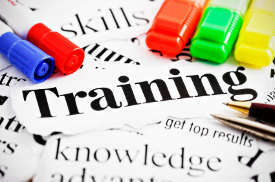 Doing this requires that those you do business with have the training and skills necessary to assess and manage the risks involved in their work. As you can see from the extensive training our staff been through we take health and safety very seriously. Cleansheen Ltd uses the HS Direct Ltd Safety First Package to help manage: Risk Assessments; Method Statements; COSHH Assessments; Health & Safety Policy; Safety auditing; Accident & incident reporting.